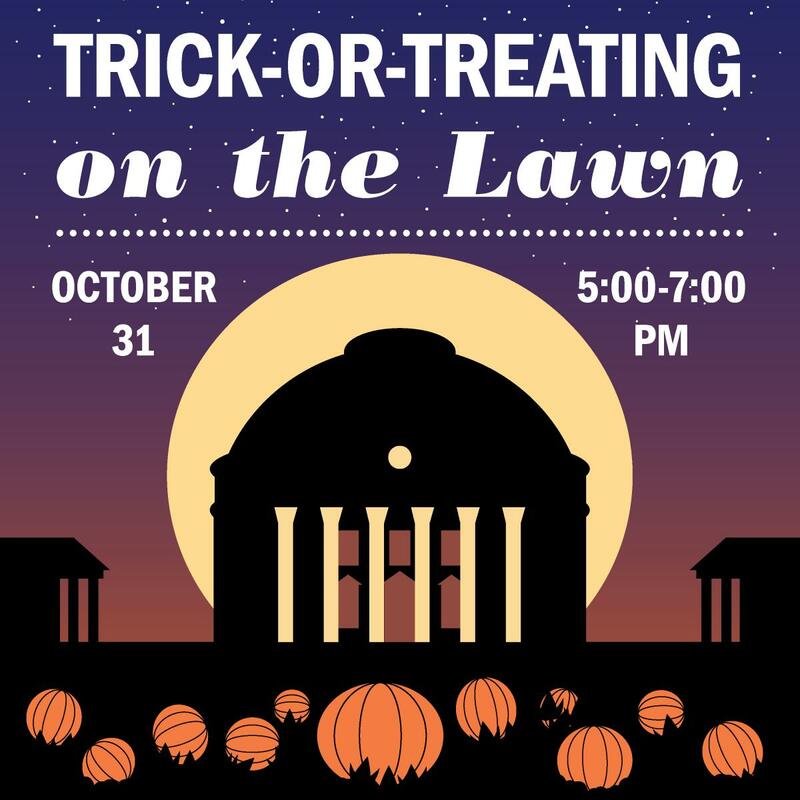 Trick-or-Treating on the Lawn | Housing and Residence Life, U.Va. Lawn residents and members of student organizations are stationed in each of the 54 Lawn rooms as well as the West Range to give out treats. All candy is donated and distributed by approximately 70 student groups and other organizations. Hosted by Lawn and West Range residents and co-sponsored by Housing & Residence Life, the event receives additional support from the offices of Safety and Emergency Preparedness, Facilities Management, Parking & Transportation, and the University Police Department. Free parking for families attending the event will be available at 3:30 p.m. in the E3, T4 and S6 lots at Scott Stadium; at University Hall; and, beginning at 4 p.m., in the Arts Grounds garage on Culbreth Road. Paid hourly parking is available in the Central Grounds Parking Garage on Emmet Street.